During the course of these last two years a great many events and developments have occurred. A year ago, to oblige those who had an interest in the College's history, structure, and operations, the Office of Institutional Research published a collection of reports entitled "The First Year." 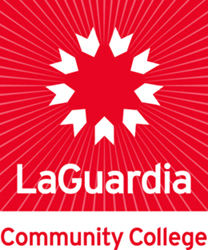 Since then, life at LaGuardia has been just as eventful, and, once again, in an effort to provide a useful overview of operations, we have assembled a compendium of reports called (not surprisingly) "The Second Year," which you will find attached. --Dan J. Ehrlich, Director. <[p>August 28, 1973; 169 pages; black & white; includes organizational charts, tables and graphs. Table of Contents: Quarterly Report on Open Admissions/ October 15, 1972; Quarterly Report on Open Admissions, January 25, 1973; Quarterly Report on Open Admissions, April 30, 1973; Quarterly Report on Open Admissions, August 10, 1973; The Fifth Progress Report to Middle States Association of Colleges and Secondary Schools; The Sixth Progress Report to Middle States Association of Colleges and Secondary Schools; Student Attrition at LaGuardia College; A Comparison of the Demographic Characteristics of Attrition and Non-Attrition Students in the 1972 Freshmen Class. LaGuardia Community College, "Fiorello H. LaGuardia Community College: The Second Year" (1973). CUNY Academic Works.